Handicapping the race to succeed Teddy. WASHINGTON -- Fall River, my hometown in Massachusetts, has been a bastion of devotion to the Kennedy family since John F. Kennedy's 1952 Senate race. We were so faithful that the turnout slogan in my dear city could well have been: "Vote for the Kennedy of your choice, but vote." It's like that in a lot of places around the state. A factory worker with no political credentials got elected state treasurer in 1954 just because his name happened to be John F. Kennedy. When that JFK later ran for governor, party leaders were so alarmed he might win that they put two other people named John Kennedy on the ballot just to split the Kennedy vote. The Kennedy legacy will be preserved just a bit longer with Gov. Deval Patrick's decision to choose Paul Kirk, the former Democratic national chairman, to fill the Senate seat of Edward Kennedy, the man he once served. Kirk, a well-loved figure in the party, got the nod over former Gov. Michael Dukakis partly because the Kennedy family made clear that Kirk was their guy. But no Kennedy will be on the ballot in the January special election to replace Ted. This creates a rare opportunity for upward political mobility in a state so loath to turn its back on loyalty and experience that it occasionally elects people who are in jail. There are two Republicans in the Senate race, but they have as much of a chance as a Yankee fan does of emerging unscathed from a bar fight near Fenway Park. The last Republican to win a Senate seat in Massachusetts was Ed Brooke in 1972--the year Massachusetts was the only state carried by George McGovern. Is my home state special or what? All the Democrats are running on a Be-Like-Ted ticket, but there are degrees of Ted-ness. The candidate embracing the Kennedy legacy most fiercely is Mike Capuano, a congressman whose district includes Cambridge and Somerville. He's running as the liberal's liberal, not a bad bet in Massachusetts and the best strategy for a man competing with a woman for progressive votes. 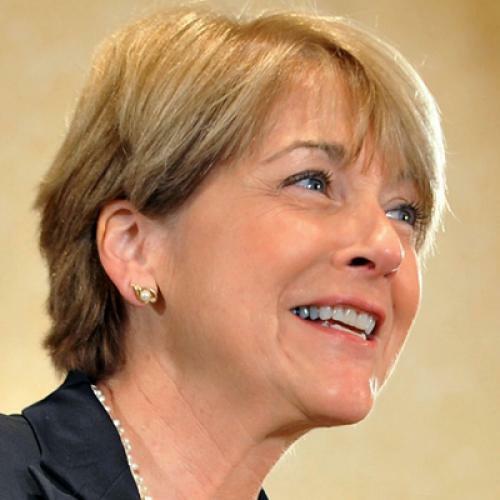 The woman to beat is Massachusetts Attorney General Martha Coakley, who has the most statewide recognition. Having voted overwhelmingly for Hillary Clinton over Barack Obama in last year's presidential primary, Massachusetts may well be in the mood this year to break with its history of not electing women to the top state offices. Coakley is also a former prosecutor, and a law-and-order woman scrambles the stereotypes. The race has its mandatory rich guy spending his own fortune, Stephen Pagliuca, a co-owner of the Boston Celtics. A Celtics-Red Sox race would have been interesting if former Sox pitcher Curt Schilling had gotten in as a Republican. Can Pags, as he's known, buy the race? Maybe, but even renting this particular electorate doesn't come cheap. That leaves the most interesting candidate, Alan Khazei. I'll confess a soft spot for the 48-year-old co-founder of City Year, one of the best youth service groups in the country. The son of an Iranian-born surgeon and an Italian-American nurse (note to Alan: make sure the Italians know about your mom), Khazei has been a crusader for the idea that all Americans owe something back to their country. He bugged and lobbied everybody (including columnists) until all the bills for AmeriCorps and others were funded and passed, and bless him for it. He's running as an Internet Age Jimmy Stewart, proposing "Big Citizenship instead of Big Government," a new approach "that isn't FDR or Reagan," and promising a campaign that is "citizen-led, citizen-energized and citizen-financed." It sounds Obama-like, and maybe a bit gimmicky. But Khazei actually believes the Jimmy Stewart stuff, and with the U.S. Senate looking as dysfunctional as the Celtics of the late 1990s, it may be the shrewdest approach on offer. Still, Massachusetts is not only liberal but also traditional. Voters like candidates who have paid their dues. The late Mary McGrory once said that every baby in Massachusetts is born with a campaign manager's gene. Both Coakley and Capuano are thoroughly presentable specimens of the genus McGrory was describing. The one great exception to the experience rule was a 30-year-old elected in 1962 to his first public office. His name was Edward M. Kennedy. Sure, his big brother happened to be the president. But there's a magic surrounding this particular Senate seat, so maybe the contest for it will defy the discerning logic of a state populated by campaign managers.